The GCU Recording Studio opened in 2015. 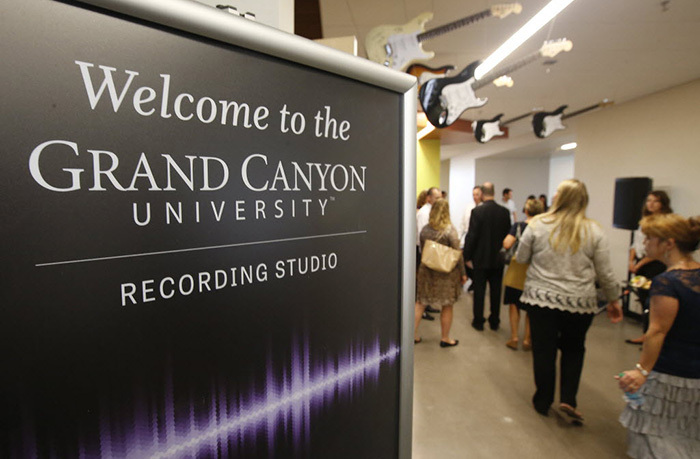 As a bridge-building effort with the community, the Grand Canyon University Recording Studio extends a limited number of invitations each year to local high school concert bands, choirs, jazz bands and other musical groups. The high school students get to spend a day in the studio making a recording or just learning about the recording process. It is an opportunity to experience what it is like to work in a professional recording studio, and they are presented with a CD of their music when the project is complete. The Center for Worship Arts and the Recording Studio are part of the College of Theology and are dedicated to the Bachelor of Arts in Worship Arts Program.